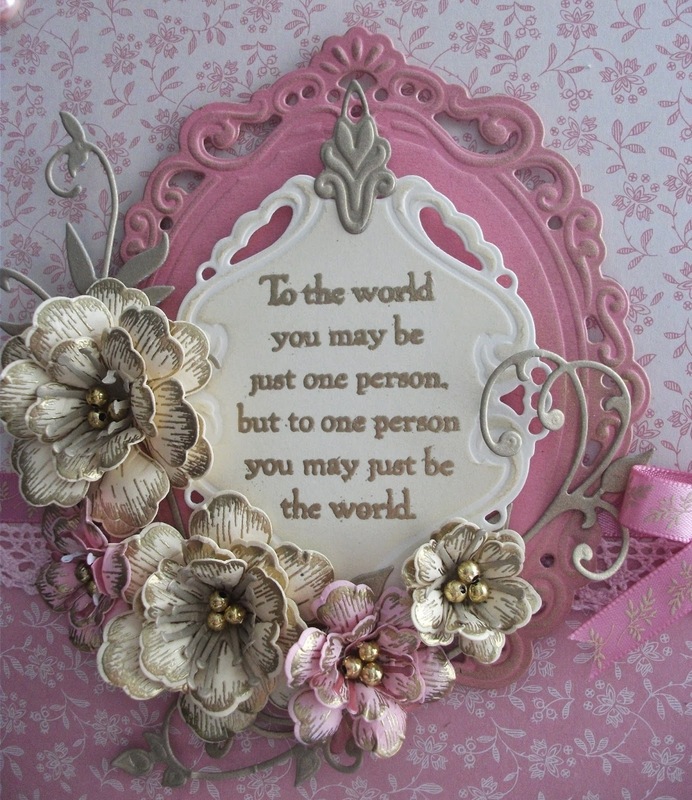 I am very pleased to be hosting Fussy & Fancy Challenge #119 and the theme I chose was 'WORDS ...it's all about the sentiment' I do like to use words on the front f my cards and this is one of my favourite sentiments: 'To the World you may be just one person, but to one person you may just be the World.' it is the sort of sentiment I would have used for my late Mum or for my sister .. so here is a card I have been making for my sister Sue. 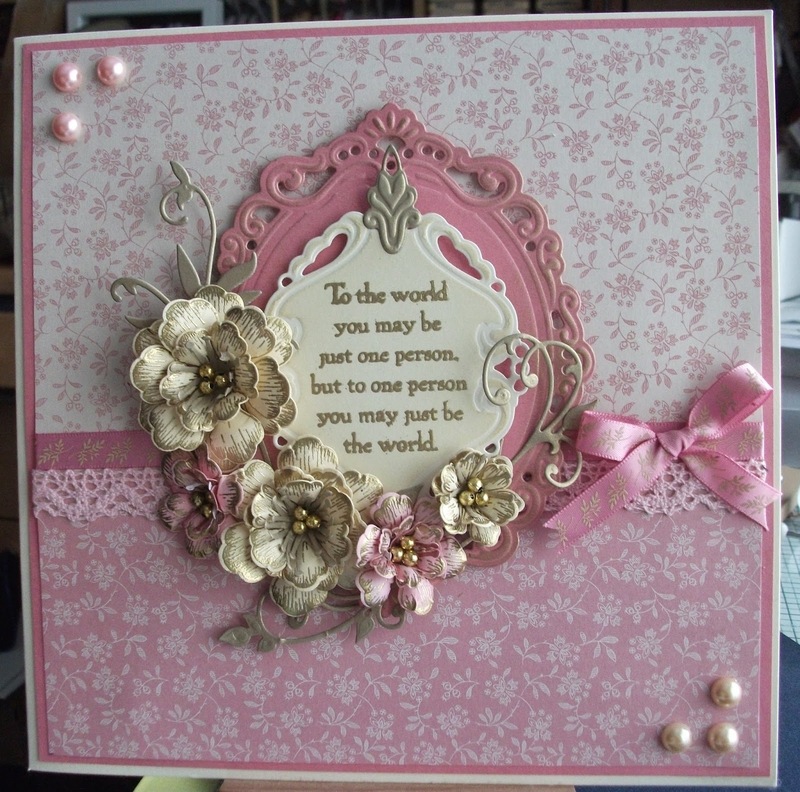 As Marianne Designs are sponsoring this Challenge I used some of their dies to create the frames and the foliage. Why don't you give this Challenge a go ... your project can be as simple or as complicated as you like, everyone has an equal chance of being chosen as we use Random.org to choose a winner, I look forward to seeing your entries ....so go why not give it a try. I like the sentiment too. A very beautiful card Annie, and I love the colours that you have chosen. Hi Annie, such a beautiful card and the sentiment is just perfect. Brilliant inspiration for the challenge.. Such a pretty card Annie and I love that sentiment too.